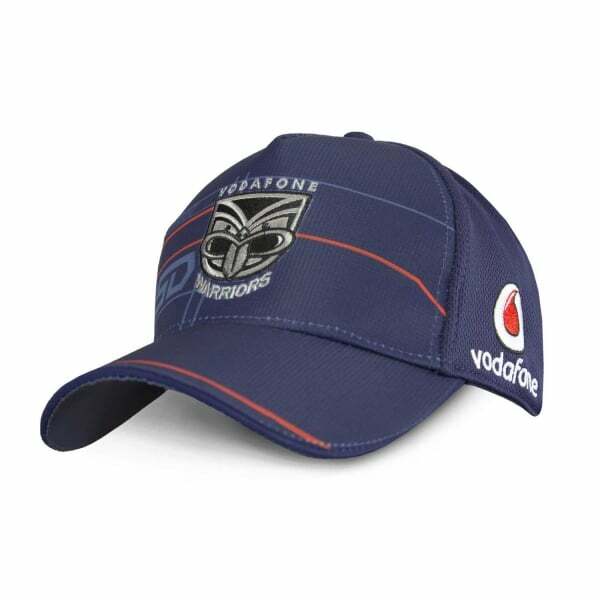 This stylish training cap features the iconic Warriors logo front and centre, letting you show your allegiance to New Zealand’s top athletes. The 100% polyester fabric provides enhanced breathability and durability, combining the best of style and functionality. Made from 100% polyester this cap features the quality construction of Canterbury’s product lines. The high quality, durable fabric support breathability, so you can stay drier and cooler for longer even during the most gruelling workouts. With a 5-panel design and Velcro centre back closure, the cap offers a touch of contemporary style while allowing you to achieve a comfortable fit. With embroidered team and sponsor logos, you’ll be able to showcase your loyalty while keeping the sun off, whether you’re training on the field or in between workout sessions. Support the mighty Warriors in this stylish training cap, which is sure to become a staple in your everyday wardrobe.